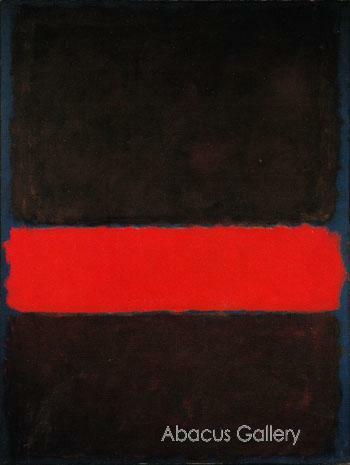 "Maroon On Blue" is an oil on canvas painting done by artist Mark Rothko, formally known as Marcus Rothkowitz. This painting is seven feet by 5 feet and is held in a private collection. 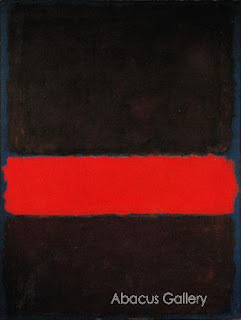 Mark Rothko is classifed as an abstract expressionist even though he rejected these labels as abstract. His inspiration came from representation and mythological theories were explored during his career. A lot of his paintings are similar to Maroon On Blue, just with different colors, such as "Brown Orange Blue On Maroon." The reason I chose this artist and painting from the book was because I don't really understand the type of art he is trying to create. Most of his paintings are just boring colors on bold backgrounds. Maroon On Blue is a shade of maroon and a shad of red on top of a navy background. I don't really care for his paintings.